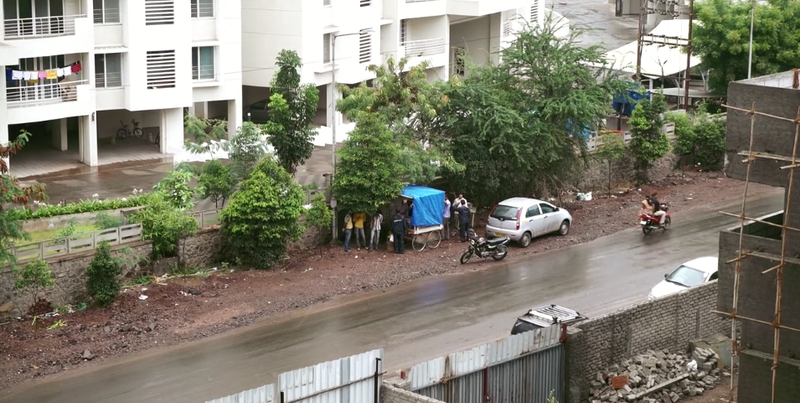 Tucked in amongst a construction site in a rapidly developing suburb of Pune, you’ll find an interesting collection of people gathered. IT professionals, mechanics, builders, taxi drivers, teachers, parents, children, and grandparents too. People of various faiths. People from all walks of life. And at the heart of this group is a hardworking, cheerful, incredibly talented chai maker. One of the first and dearest friends I made in India goes by the name Shantanu. You’ll hear most people call him Shivaji, referring to a great leader who ruled over Maharashtra many years ago and happens to have an uncanny resemblance to our friend Shantanu. Besides resemblance there’s a lot more the two of them have in common. Like Shivaji, Shantanu too, has and continues to be an epic leader of positive change. Shantanu started his chai business for reasons I would have never guessed. One day whilst observing the sheer diversity and divisions found in India’s people – across caste, religion, gender, socio-economic status, Shantanu asked me: what do all of these people and groups have in common? They all love to drink chai! And that is why Shantanu opened up a tea stall: to bring people together. In an increasingly digital age, the need could never be greater for us as humans to connect and share stories and what better way to do it than over cups of chai. It’s a beautiful sight to turn up to the chai stand and find car’s parked with doors open and music playing, people seated on repurposed containers chatting away, kids playing around and a growing sense of community amongst people in the area. In amongst the hustle and activity around the chai stand, you’ll find Shantanu diligently working away. I have never seen Shantanu do anything without fully committing himself to it. Be it preparing the chai, interacting with customers or even washing dirty glasses. Yes, even doing dishes has become something he loves to do. He told me once how he feels happier and fresher when his dishes are clean, and only if he is happy can he serve his customers and ensure they are happy. Such a simple and powerful service mindset to live by. Beyond his customers, this service mindset extends into the way Shantanu works and the impact of his business on the community. 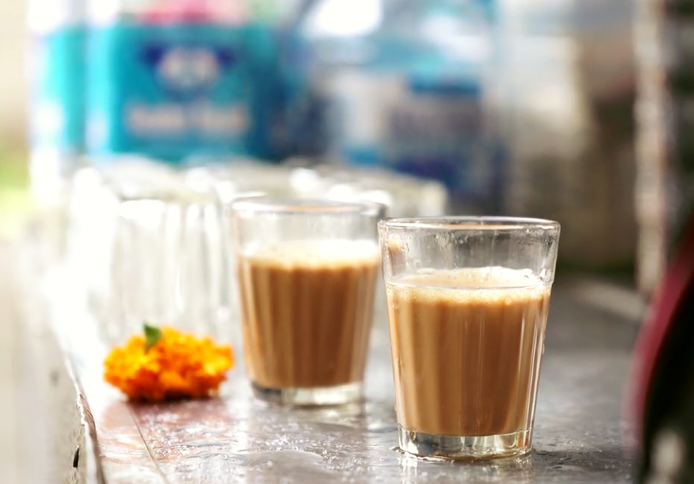 Despite the demand for it, Shantanu avoids plastic cups and uses glass cups – both for health and environmental reasons. He strives to save water, reuse jars that his supplies come in, and limit his waste. Shantanu’s tea stand is an inspiring example of how business can create wealth in all senses – having a positive impact on people, profit and planet. Shantanu may just have a small tea stand in a suburb in the outskirts of Pune, a speck in the grand scheme of things, but his philosophy and ethic is certainly one we can learn from and apply in our own lives and work. Is there a deeper social mission that can underpin our work? How can we do all that we do with full energy and in the spirit of service? How can we push to be better in all aspects of our lives and create wealth in its broadest sense? So much to learn from this humble community builder and his tea stand.